In a contemporary kitchen, a knife and a chopping board are basic essentials on the flip side, in a modern kitchen having an electric chopper is a great way to save time and upgrade the efficiency at the same time. 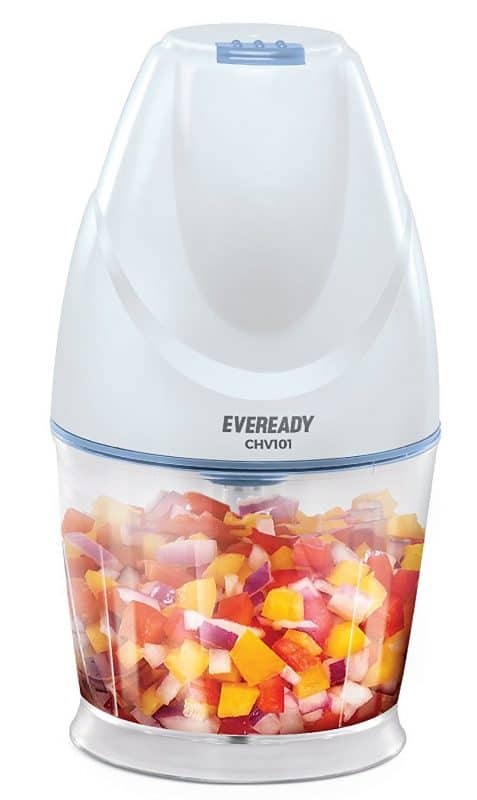 Adding food chopper is a great way to enhance the overall look and feel of your food. It is handy dandy and can be used to mince and puree any form of ingredients. A normal food chopper can easily chop between 1 to 6 cups of food at one go. A smart food chopper is no doubt a great blessing in your life. It is light in weight, cost-effective, small and any day better than a full-fledged food processor. It is also easy and clean to maintain. The market is flooded with so many options that choosing an electric chopper could be taxing here’s why there are few factors mentioned below to bear in mind including capacity, material, ease of cleaning, type of blade used, functionality etc. Our first electric chopper is from Orpat Express as it has some unique features and is cost-effective at the same time. It features 250 W motor and can easily chop vegetables, mince and puree ingredients easily. 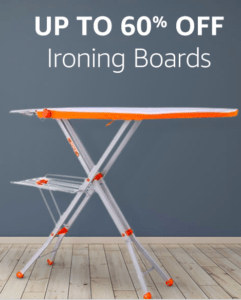 It is made from high-quality stainless steel giving it a powerful performance and is quite durable. The plastic container is sturdy and strong as it is made from BPA free material and has the capacity of 500ml. It moreover features a splash-guard cover that can too be used as a lid for the container. Our next smart chopper is from Glen, GL4043 Plus. It is one of the best choppers available in the market today. It is decent, compact and comes with additional attachments. The container is made of great quality with a decent capacity of 400 ml. 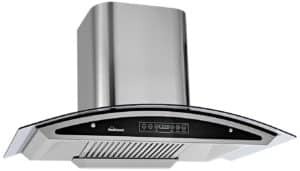 It features 250 W powers, made of stainless steel and is rust-resistant. It features plastic whipping blades for beating and whipping purposes. The product comes with one year warranty. This is one of the smartest choppers available in the market. It has a 350ml bowl capacity and is ideal for daily usage. It comes with a safety interlock system on the lid. It also has a pulse operation for better control over chopping or mincing. It is made from stainless steel blades and is hygienic and durable to use. The product is powered by 120 W at operating voltage of 220-240 volts. It is a compact mini chopper and ideal for times when an emergency strikes. It works with super-fast speed. 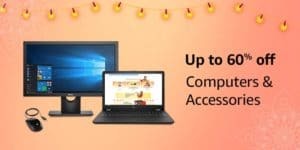 It is ideal for day-to-day usage as it increases efficiency and reduces the work time. Morphy Richards is our next best smart chopper works on self-automation and needs no installation. 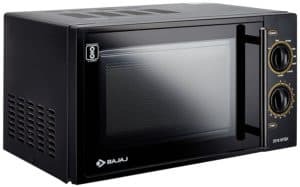 It comes with various unique features like adjustable speed control, pushes the start button, and is powered by 260 W. It simply enjoys complete comfort in the process by merely pushing down its easy-start switch. For high-speed chopping and beating, merely use the turbo switch, this stops the machine from over-heating so that you can carry on your other tasks by handling the machine with ease. It has a 500ml capacity chopping container made from quality food-grade plastic. The easy push start button, turbo switch and adjustable speed control makes it easy to use and allows the user to customize the chopping. 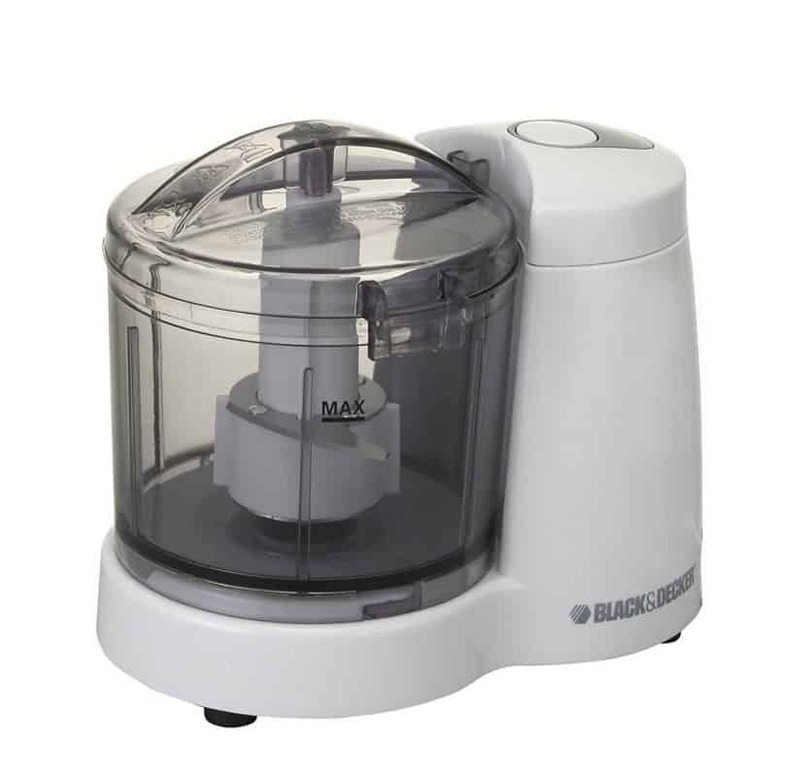 It comes with durable stainless steel chopping blade and plastic whisking attachment. The anti-slip base of the appliance doubles as a lid for the container. 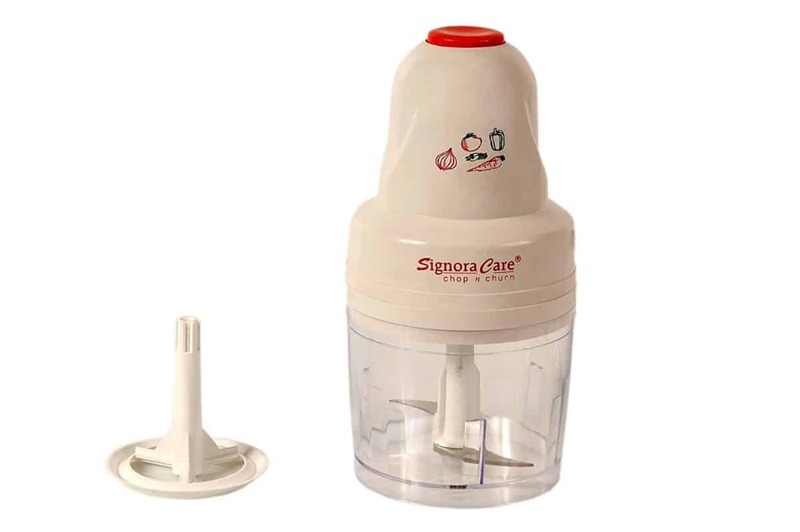 Signora Care offers our next smart chopper powered by 200 W motor. Its fancy look is great for your décor, made from the high-quality container, superior blades used. You can use it for chopping, whipping, and beating. The product comes with one year warranty. The package includes an electric chopper, user manual, and warranty card along with service card. This fancy electric chopper from Signora that can easily chop, mince, puree, beat, grind, and whip. It offers high-quality blade for chopping and mincing with a plastic whipping attachment for beating. The container is made of ABS shock-proof and polycarbonate material. Our next smart chopper is from Inalsa. It is a known brand in the world of kitchen appliances. It comes with unbreakable polycarbonate bowl. It comes with the press the top for operating the Mini Chopper. The container is made of high-quality stainless steel chopper blade and Whisker blade. It is a user-friendly machine for chopping and mixing. This electric chopper is highly efficient with a user-friendly interface and is the ade with standard quality material. The chopper is powered by 250 W. The chopper is durable and long lasting. It also comes with a plastic whisker blade. 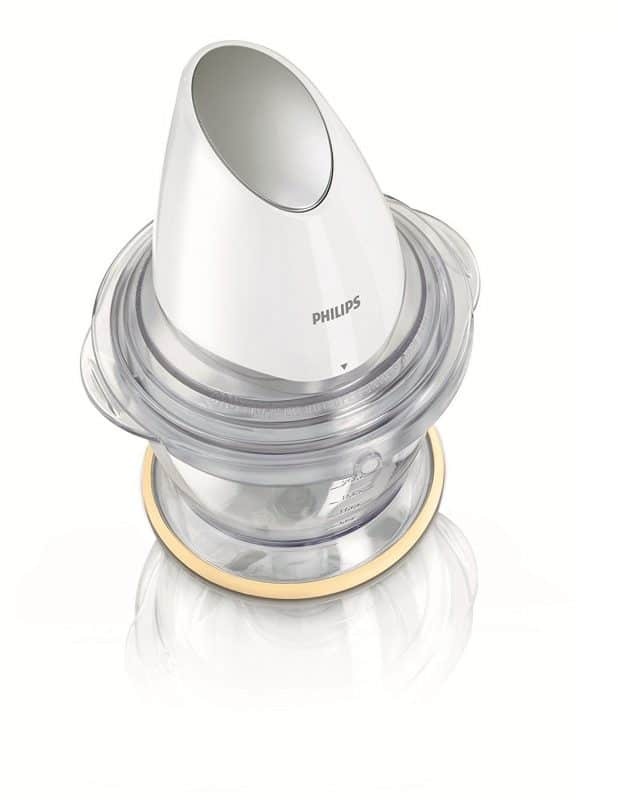 This high capacity chopper from Philips features a 1-liter processing container which is fit for cutting large batches of food at one go. It is powered by 500 watts motor with operating voltage is 220-240 volts. It also features push button controls which makes it simple and accessible. The 1 liter ABS plastic bowl is strong and dishwasher safe. The sturdy stainless steel chopping blade is very effective. This is additional high capacity electric chopper from Bajaj, a reputed brand that is long-lasting and strong. 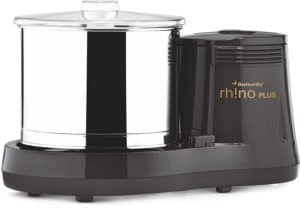 It is powered by 300 watts motor that has the ability to chop even the strongest of foods. The 1-liter capacity see-through bowl is made using tough and safe plastic material. The one-touch push button process of the chopper makes it simple to use. It also features a stainless steel chopper blade plus a plastic whipping disc. This chopper from Eveready is smart, fancy looking standard quality mini chopper that comes with a number of valuable features. 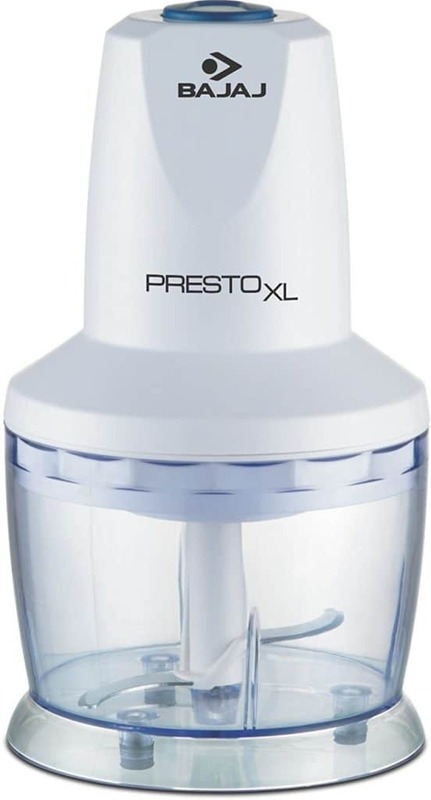 It is powered by a 200 watts motor and features a decent 400 ml capacity processing bowl with a lid that lets effectual slicing and storage. It is made with a sturdy stainless steel chopping blade as well as plastic whisking disc which makes it all the more useful. 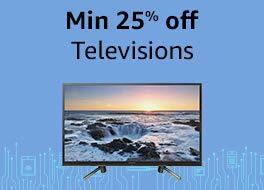 Its product comes with 2 years warranty from the manufacturer. This chopper is ideal for cutting soft and hard vegetables, fruits, herbs, spices, cooked meat and fish, nuts and cheese. It is made with extra-sharp stainless-steel blade for effective performance. It comes with a unique ring handle design for easy chopping and cutting. It is an eco-friendly function, no electricity required to operate. It can chop coarse, medium or fine, plastic container can be used to store and refrigerate food. While selecting any electric food chopper capacity is one of the great features to bear in mind. In most cases, these choppers come handy for urgent chopping and mincing needs like onions and garlic pods. And, the capacity of these choppers varies from as less as 2 cups to as high as 6 cups. The largest capacity electric chopper is appropriate for those who wish to chop big batches of foods at a time. Functionality is another great feature to bear in mind while using traditional food chopper where it is solely used for chopping foods, innovative models can implement other handy tasks such as mince, puree, grind plus grate. While selecting an electric chopper always go for one that features robust stainless steel blades which won’t corrode with use. Attachable blades are even better which let easy cleaning of the chopper after use. It is always good to go for a chopper that is made using high-quality, BPA-free plastic material that is sturdy and robust. Any kitchen appliance can turn into a nightmare if it’s not easy to maintain or clean. Always look for a processor that is simple and easy to clean and extend the life of the appliance. It is even better if it’s dishwasher safe. What are the Different Types of Vegetable or Food Choppers? The primary aspect that you need to distinguish whilst buying an electric food chopper is its types and which one would suit your needs. Generally, the food choppers are categorized into two types relying on the mode of operation i.e. Electric and Manual. Every distinct kind has its own manner of chopping the food items such as veggies, fruits, and other normal ingredients easily. Manual chopping necessitates human power to chop or slice the veggies such as tomatoes, potatoes, herbs, cauliflower, etc. You might utilize peelers, sharp knives to cut down the natural ingredients, but require being really cautious as it might cause injuries or cuts. It isn’t the safest technique for the people who are beginners at cooking and moreover you would have to keep them out of reach of kids. In the electric choppers, you solely need to connect it to the power supply manually through the power cord. It is pretty suitable to use and provides you safety against the electric shocks. You won’t require putting an effort into slicing the veggies. Just press the button provided on the electric chopper to complete the cutting task in a flash. This kind of working entirely hinges on the efficiency of the motor. So, ensure that the motors that the unit has been equipped with are of good-quality and improves its life expectancy. How are Food Choppers Different from Food Processors? There are 3 primary types of machines that are going to process your food: the food chopper, the blender, and the food processor. A blender functions well with the liquids; in case you desire to prepare creamy milkshakes, pumpkin soups, and smoothies, it is your go-to option. In case you have to process the tougher foods such as parsnips, carrots, nuts, and others, going with a food chopper or a food processor would be a better choice. The size of the food chopper is pretty convenient as it can be easily put in storage. Relying on the unit you choose, it might be able to mix or chop nearly 4 cups of veggies or fruits in one go. A food processor is substantially bigger as compared to a food chopper; it might be able to maneuver near about 12 cups of food ingredients at once. It might not be stored easily like the food chopper but might perform even better. A food chopper can mix and chop a food ingredient, that’s all! 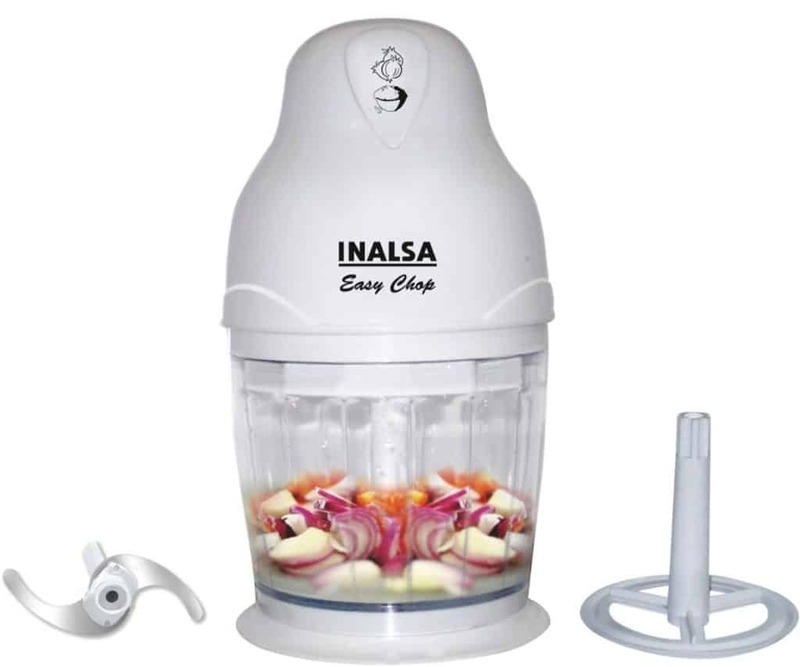 In case you need to chop one or two onion, the food chopper would be a good option. A food chopper is going to offer a stress-free working. A food processor might easily be capable of taking care of a large number of food ingredients. In addition, if you need to slice or grate the onions or other similar foods, the food processor has got your covered – and the capacity to knead remarkable bread dough. You might not be able to prepare the signature peanut butter cookies using an electric or manual food chopper or slice down the red beets deprived of getting your hands stained. 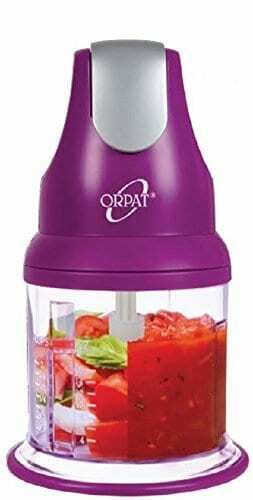 A high-quality food processor is going to be costly in comparison to the top-quality food chopper. The primary reason behind this is that it is going to cost more to make; it delivers different features and specifications. All the things we stated before doesn’t approve of the fact that a food processor constantly outdoes a food chopper. It relies on the manner in which you prepare your food and if you often bake – or if you desire to transform into a baker. The common criticism that food processors tend to face is that they are tougher to clean. Certainly, you must have caught a family member or friend wailing that they don’t utilize the food processor that frequently like they anticipated as cleaning is pretty tedious! Should You Opt to Purchase a Food Processor or Food Chopper or Both? Who should purchase a food chopper? If you aren’t a regular person inside the kitchen or prepare food solely for 1-2 people, and don’t really experiment in the kitchen, buying a food chopper would be a good choice. You would discover it to be an appropriate tool that would complete the task you want it to perform. Who should purchase a food processor? In case you often cook food for a larger number of people, bake repeatedly, and are fanatical about trying out new things inside the kitchen, a food processor would be your go-to appliance. You perhaps previously recognize this fact as your individual ingenious cookbooks whose writers assume you possess one. Who should purchase both food chopper and a food processor? In case you are a professional cook, you might require having both the appliances. At times you would not like to arrange the food processor just to get an onion chopped or crunch up a few pecans. Therefore, you may utilize the food processor for bigger requirements and a food chopper when you need to get smaller things done. 57 What are the Different Types of Vegetable or Food Choppers? 60 How are Food Choppers Different from Food Processors? 65 Should You Opt to Purchase a Food Processor or Food Chopper or Both? 66 Who should purchase a food chopper? 67 Who should purchase a food processor? 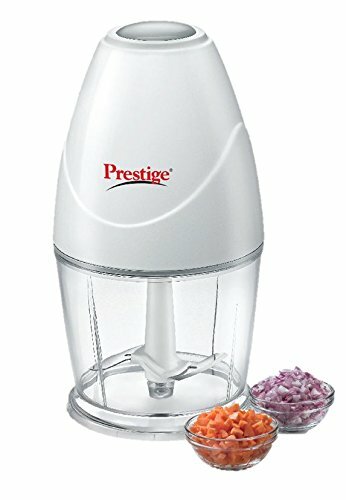 68 Who should purchase both food chopper and a food processor?